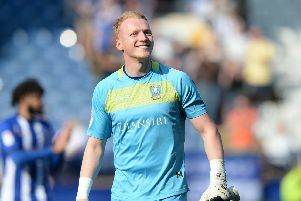 When The Star produce an article based on the last 30 seasons of Championship survival points, you know that Sheffield Wednesday have reached a crunch point. They estimated that Wednesday need 42-45 points to be safe for another season. That’s between four and seven points needed. One win and a draw at best, two wins and draw to make sure. Where are these wins and draws going to come from? We have nine matches left. Leeds United and Preston North End, our next two games, are inconsistent. Leeds have picked up six points from the last six matches, Preston have clinched eight points. Looking at our own meagre four points from the same period, on paper, these look like potential losses again, but their inconsistency could be where we pick up those vital points. A win and draw in March could mean our survival. April is a busy month; Sunderland, Fulham, QPR, Hull, Reading and Wolves. It’s a mixture of teams who are reaching their form of the season (Fulham, QPR and Hull) and teams who are equally as bereft of confidence as the Owls (Sunderland and Reading). We are notoriously good at giving teams and players a leg up when they are low on confidence. Look at Martyn Waghorn, who hadn’t scored for Ipswich Town in what felt like a millennia, and he bangs in two against us. The Sunderland and Reading games worry me for these pessimistic reasons. We don’t have great form against the bottom six. Norwich City is the last match of the season. They love a draw, five out of their last six games have ended in a point. We’re equally as fond of a draw. Fingers crossed for at least an average result there. With Bannan, Hutchison and Van Aken mooted to return against Leeds on Saturday there is hope, even a sliver of midfield creativity and punch could be the difference between safety and relegation. I don’t believe we will go down (famous last words), but I do think inconsistent Leeds and Preston are chances to ease the worry.